This is the second part of an interview with Professor Max Coltheart. You can read the first part of the interview here. ES-B: What you say about the generation of the alien abduction belief in 2011 is really interesting. You suggest that the generation of the belief might be due to abductive inference as applied to sleep paralysis and hypnopompic hallucination not due to specific neuropsychological impairments. 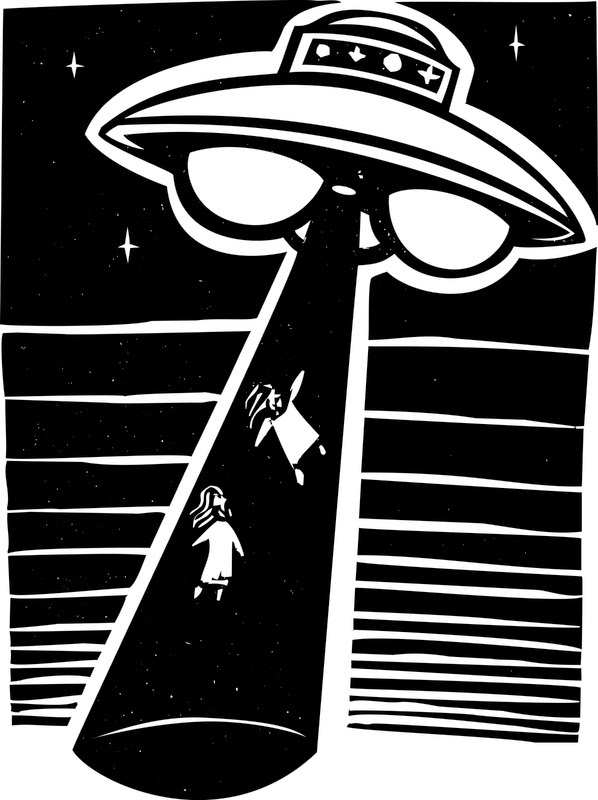 But you point out that many people who have these experiences do not adopt the alien abduction belief, and so we need a second factor, which you suggest is the alien abduction belief being compatible with things one already believes (so people who have ‘New Age’ beliefs may well be more prone to forming the alien abduction belief if they experience sleep paralysis and hypnopompic hallucination). So this looks like the kind of thing a one-factor theorist might say about delusions more generally. What do you think the difference is between this kind of case, where the second factor consists of biases which are present in the healthy population, and the case of Capgras delusion, or other delusions, where you say the second factor is something quite different, and does not occur in the non-delusional or healthy population? MC: Well it depends what you mean by ‘healthy population’. New Age people who believe in UFOs and so on—that doesn’t sound very healthy to me. So they’re healthy in the sense that they don’t have brain damage but they’ve got a very strange belief system, it’s very unlike most people’s belief system and if they didn’t have that belief system, then they wouldn’t become delusional. ESB: I worry about saying that those kinds of people aren’t ‘healthy’ because I think there’s an awful lot of them, plus people who believe in ghosts, astrology, and so on. MC: I think that a line you could pursue then is to say, if you think the two-factor theory applies to the alien abduction, and you accept that these people don’t have brain damage, then you’re going to have to say that their belief systems aren’t healthy in some way. And that’s a concept that you can attack: why call them unhealthy? ESB: Yes. Exactly right. It seems like you’re drawing the line on normal range far earlier than I would. MC: Yes. But I’m very sympathetic to that idea, even though it makes it difficult for me to work out what I’m going to say about alien abduction. Now it’s just copping out to say ‘I’m only interested in neuropsychological delusions’, that’s a safe position, and it’s a position I often retreat to, saying that it's an open question to whether it applies to alien abduction, but the story about alien abduction is a fairly plausible one. ESB: Do you think the alien abduction belief is a delusion? MC: Yes. So, as you’ve seen in most papers, the DSM 5 definition of delusion is scientifically useless. I think the crucial thing about delusion is first of all resistance to evidence, but it’s got to be evidence that it would be reasonable to respond to. This is unlike the case of the scientist who is conservative about his theory until it’s definitely disproved. That’s not unreasonable. But people with Capgras delusion, there’s lots of evidence that the imposter belief is not true. Why does this stranger looking exactly like their wife? Does that mean there’s somebody else in the world that looks identical to their wife? The Bayesian prior for that is pretty low. When we are thinking about whether or not to call some belief delusional, whether the belief is true or is false is irrelevant. Whether people around you share your belief is also irrelevant; that's just a way DSM tries to avoid saying that religious beliefs are delusional. Instead, what's critical for the belief to count as delusional is its resistance to counter-evidence. A delusional belief doesn't even have to be a bizarre belief, delusional jealousy is a good example here - the belief that one's spouse is being unfaithful is not a bizarre belief, but people with this belief are delusionally jealous when they have no good evidence, often no evidence at all, for believing that their spouse is unfaithful. If despite this they're still jealous, that's why the belief about the spouse counts as a delusion. Very good paper on sleep paralysis and individual differences in thinking style: Cheyne & Pennycook, Clinical Psychological Science, 2013, 1(2) 135-148. Very relevant to the discussion above and to Ema's interest in individual differences in thinking style. Thanks Max! That's downloaded and on my reading list.